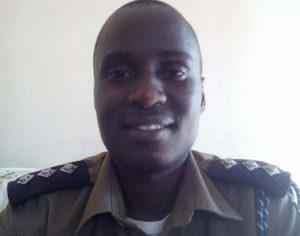 Busoga East police spokesperson James Mubi. Courtesy photo. A body of an 18-year-old student was today morning discovered in a swamp in Nawanzu village in Nakigo sub-county by a Mulism Cleric who had gone to fetch water. The deceased, Fatuma Musubika, a Senior Two student at Buckley Secondary School, is reported to have committed suicide last Friday, according to police. According to the deceased’s mother Shamina Mutesi ,her daughter went away in aprotest after being told to cut off her hair and never returned. Busoga east police spokesperson James Mubi said the deceased could have committed suicide after being asked to shave off her hair both from school and home. It is alleged that she returned home after being chased away from school over her funny hair cut which made her look irresponsible . Mutesi said she went to school to inquire about the where about s of her daughters and was told that she been chased away because of the funny hair cut. She said the deceased had of recent joined bad groups and started attending night clubs and drinking alcohol. “My daughter has been a well behaved girl but changed for the worse after picking up friendship with a group of six girls in the area,” she said . Nawanzu village chairperson Juma Kyobwaika said majority of youths in the area have restored to drinking and smoking marinjuana which has contributed to the increasing cases of immorality. The director of Burkely Secondary School ,Charles Waiswa, could not be reached as his known phone number remained switched off by press time.